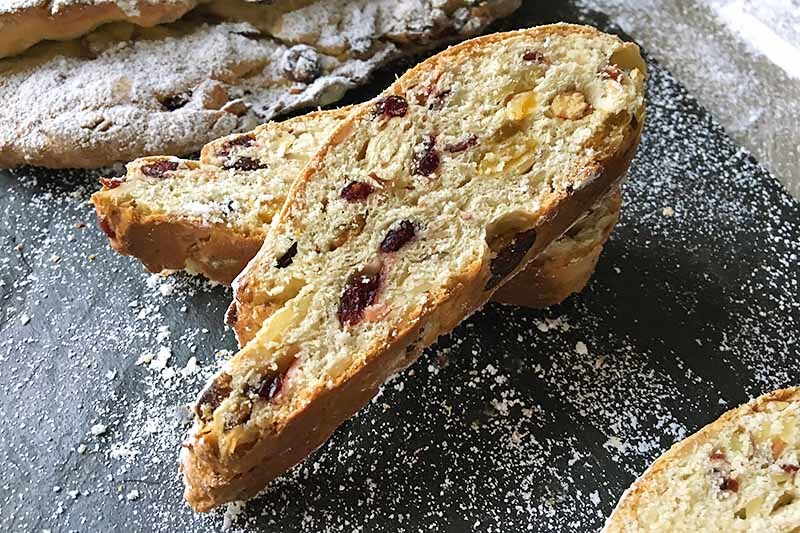 Stollen is a traditional German holiday bread, a yeasty creation filled with assorted dried fruits and nuts. This baked goodie is beautifully dusted with powdered sugar to commemorate the winter season in the sweetest of ways. Learn how to make our easy recipe now on Foodal, just in time for the holidays. 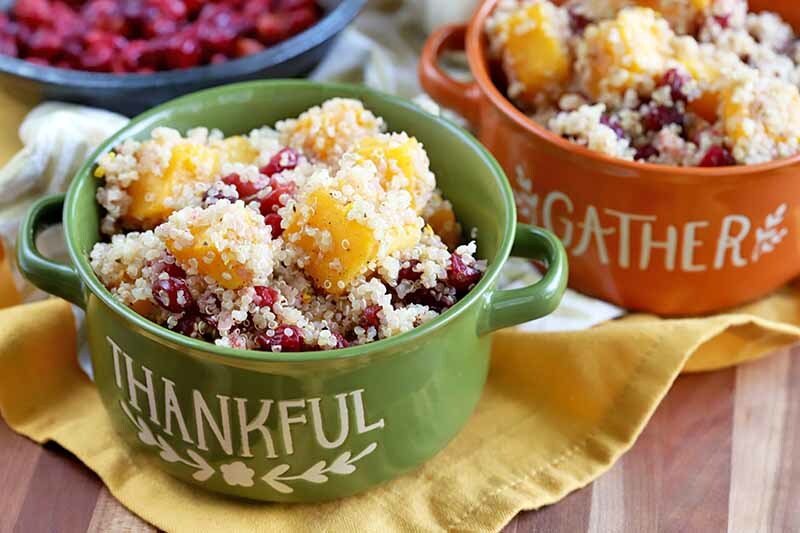 Whether you are making this as a vegetarian side or a main dish, on a weeknight or to include as part of your holiday feast, Quinoa with Roasted Butternut Squash and Cranberries is pure perfection. The fall flavors explode in every single bite, and it is ever-so-easy to make. Get the recipe now on Foodal. 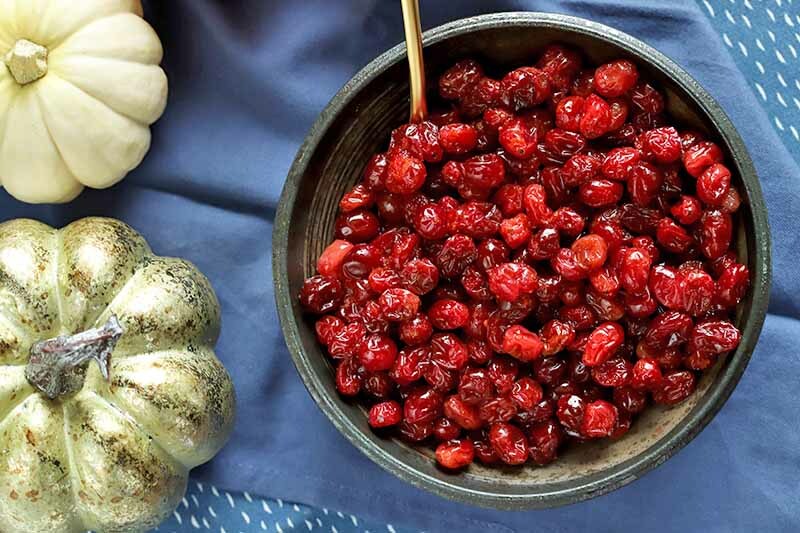 If you haven’t already ditched the canned sauce, our Easy Roasted Cranberries will make you do it. The pop of tartness complemented by orange and maple syrup brings the classic flavor you know to new heights, and it’s perfect with roasted turkey. Get the recipe now on Foodal, and start a new holiday tradition. 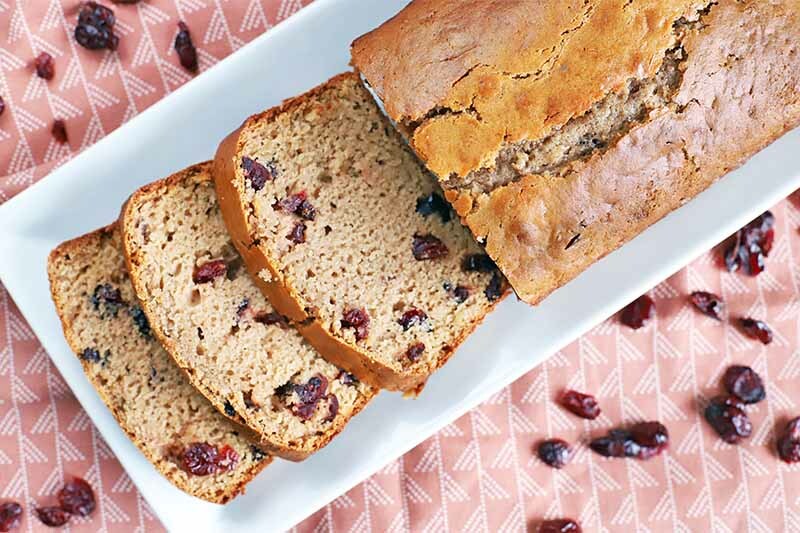 Who wouldn’t want to wake up to a warm slice of cranberry quick bread, slathered with butter? The tangy, moist bread is easy to whip up and it fills your house with the most intoxicating aroma. The pop of tart dried cranberries with the sweet bread is pure deliciousness. Get the recipe now on Foodal to bake it at home. 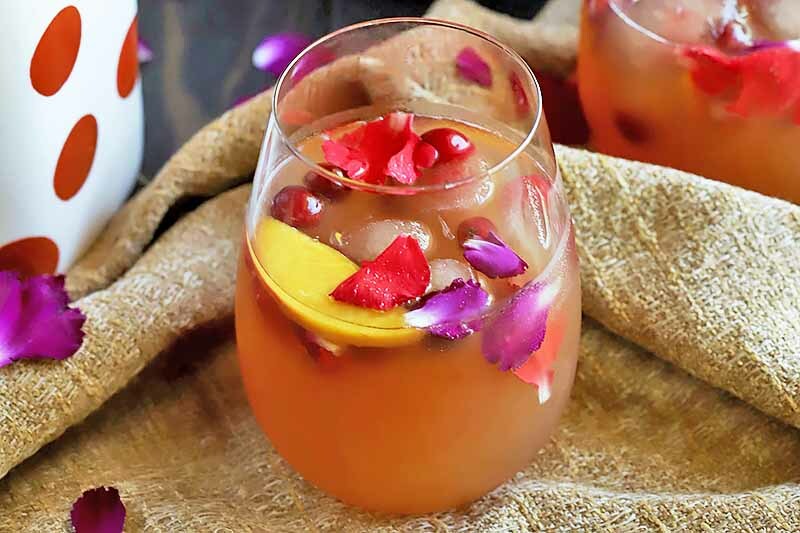 If you have a fall party coming up, you will really wow the crowd with this Moosebeereherbstblätter Bowle recipe, also known as Cranberry Autumn Leaves Punch. It’s bubbly and fruity, without being too sweet. With flavored ice cubes and edible flower petals, it is the best way to celebrate harvest season. Read more now. 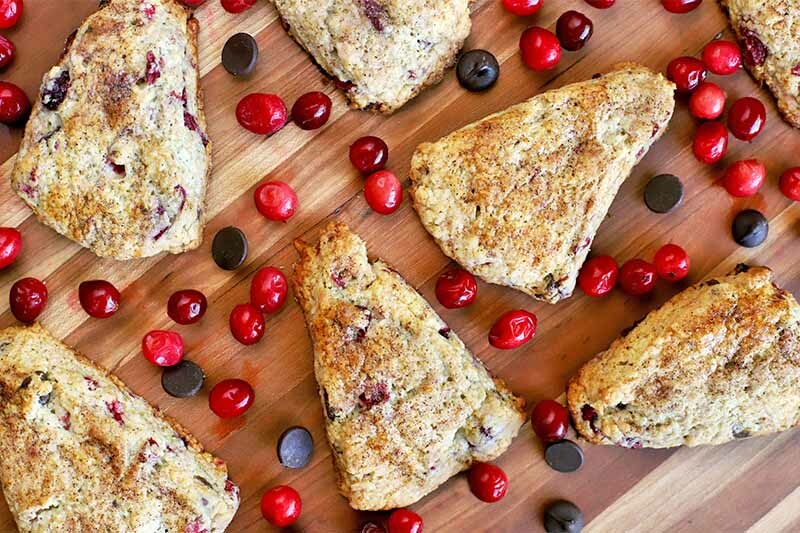 Wake up on the right side of the bed with the best cranberry chocolate chip scones. The combination of tart and tangy seasonal fruit with melted chocolate makes for a delightful morning treat. It’s an easy recipe to whip up and enjoy all week alongside your favorite caffeinated beverage. Get the recipe now on Foodal. Want to really impress the folks at your next autumn gathering? 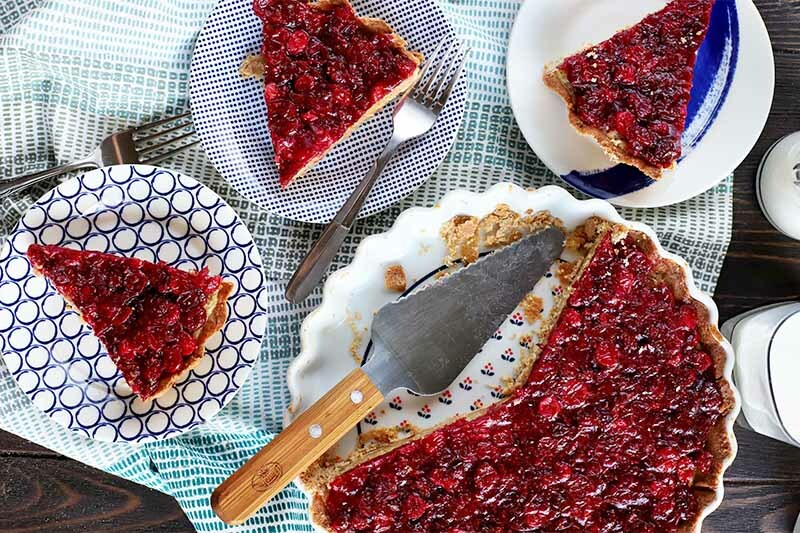 Make this elegant brown butter cranberry hazelnut tart. The toasted nut crust filled with a brown butter custard and fresh cranberry topping make for a gorgeous dessert that’s sweet and tangy. Everyone’s jaws will drop. Get the recipe on Foodal now. Looking for a new twist on an old classic for the holiday table this year? 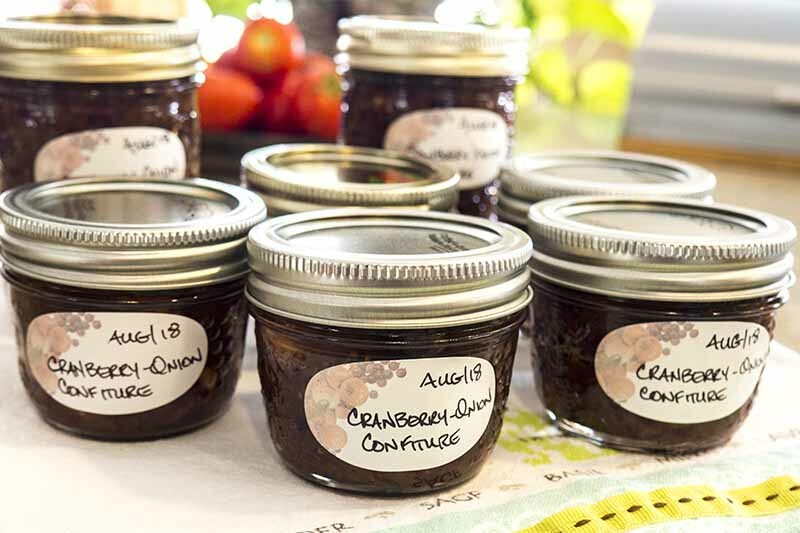 Cranberry onion confiture is an easy way to dress up a traditional side sauce for a fresh flavor experience. Savory and spicy, it’s also sweetly tart, and is finished with the bright citrus flavors of Grand Marnier. Get the recipe on Foodal now. 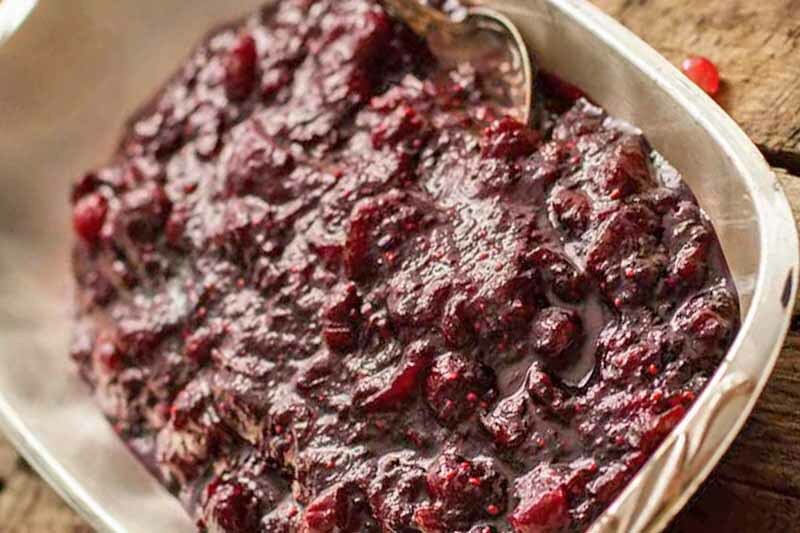 Homemade pomegranate cranberry sauce is tart and delicious, a refreshing spin on the same-old gelatinous canned variety (that nobody really enjoys). Get the recipe on Foodal now to add this simple yet flavorful dish to your Thanksgiving spread! For a bold addition to your holiday baking repertoire, put the bright beauty of fresh fruit on display in this scrumptious cranberry upside down cake. 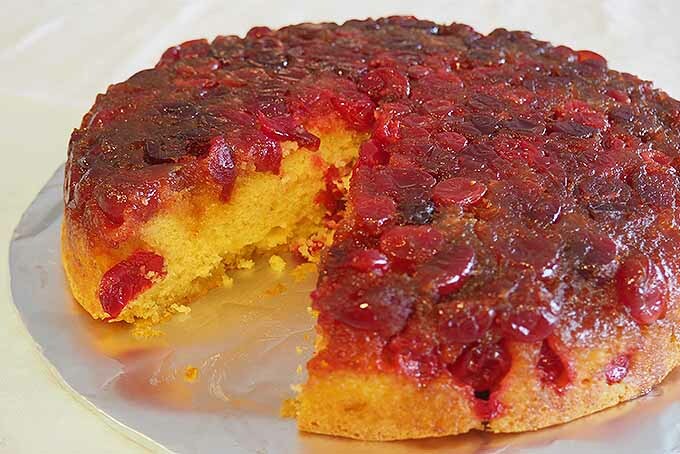 The glazed fruit is a beautiful deep red hue and the cake is moist and light – perfect with coffee or a dessert wine! Join us now for the recipe and instructions. 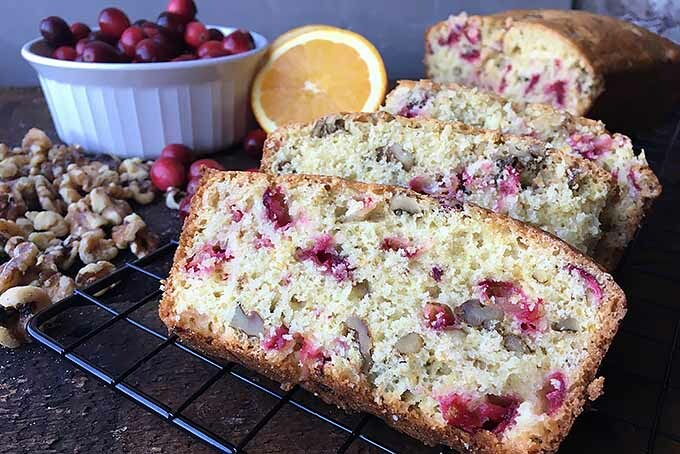 A delicious combination of sweet and tart, our homemade orange cranberry nut bread is the perfect treat to give as gifts during the holiday season. 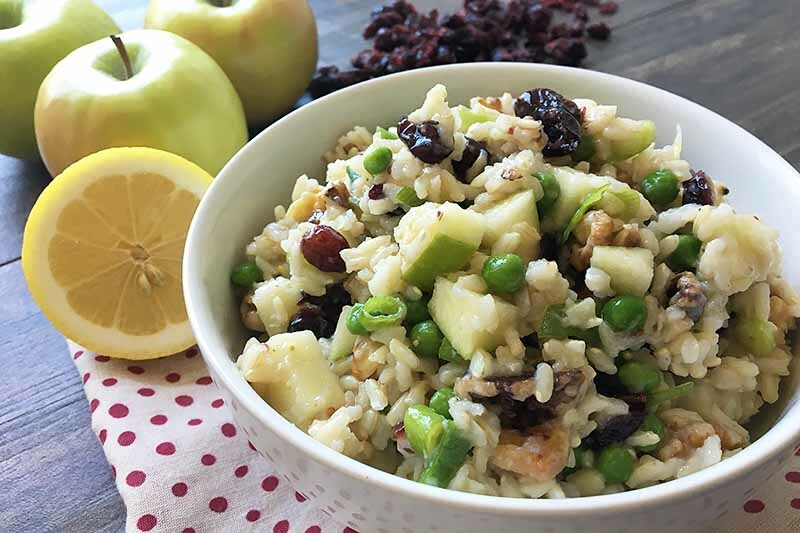 Flavored with orange juice and mixed with fresh cranberries and walnuts, you might as well attach the recipe for this, too – everyone will be asking for it! Bake it now on Foodal.